We are a family-operated travel agency in the heart of Kitsilano, Vancouver, BC. 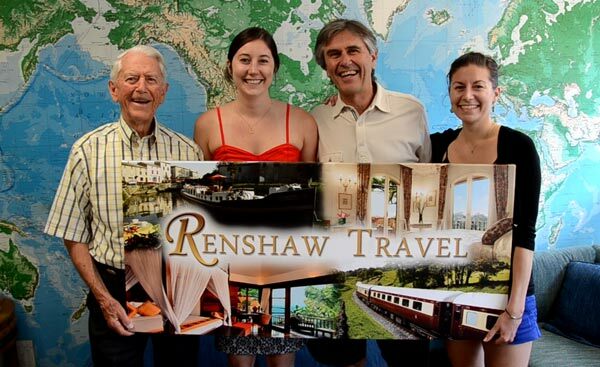 The Renshaw family has been in the travel industry for over sixty years, beginning with founder Don Renshaw. Just like an old Hollywood movie, Don's story is so inspiring and entertaining, we dedicated a page, History of Renshaw Travel, just so we can share it with you! This Virtuoso travel agency is also home to twenty Travel Specialists. Each bringing extensive travel experience, specialities, and unique personalities, these travel experts have become an integral part of Renshaw Travel & Cruise Concepts. We invite you to look at the different types of travel specialities our agency has to offer, and most of all, to meet our Travel Specialists to not only get to know them, but also to find out who may be best suited to help you plan your next trip!